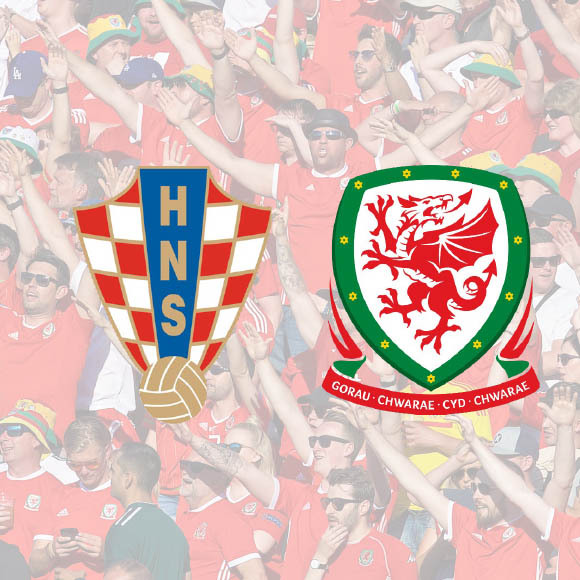 We’re going to Croatia as Wales look to qualify for the Euro 2020 finals which take place across Europe next year. 6th June: Evening flight from Stansted to Ljublana, arriving later in the evening and a 2 hour transfer to Zagreb. 8th: Match day in Osijek – you can book coach travel separately on our site. 9th: Transfer to the Ljublana to catch our evening flight back to Stansted, arriving late at night. Return flights from Stansted (hand luggage only) and return airport transfers in from Ljublana to Zagreb. £190 per person plus £4 per person booking fee. *Passenger 1 - Passport No. *Does Passenger 1 want to hear about future Wales & other sports trips? *Passenger 2 - Passport No. *Does Passenger 2 want to hear about future Wales & other sports trips? *Passenger 3 - Passport No. *Does Passenger 3 want to hear about future Wales & other sports trips? *Passenger 4 - Passport No. *Does Passenger 4 want to hear about future Wales & other sports trips? *Passenger 5 - Passport No. *Does Passenger 5 want to hear about future Wales & other sports trips? *Passenger 6 - Passport No. *Does Passenger 6 want to hear about future Wales & other sports trips? *Passenger 7 - Passport No. *Does Passenger 7 want to hear about future Wales & other sports trips? *Passenger 8 - Passport No. *Does Passenger 8 want to hear about future Wales & other sports trips? Standard air travel rules apply. No alcohol allowed on coaches and you can be refused travel if you attempt to bring any on board. Trips not suitable for large groups. A valid passport is required for any trip outside the UK. Wonky Sheep Events cannot be held responsible if you or any member of your group does not have a valid passport or visa, or is refused entry or exit at any borders for any other reason. Wonky Sheep Events is working with the United Kingdom Football Policing Unit to protect the safety of our passengers and you are required to supply passport details before you travel. Match tickets can be obtained from the FAW. It is your responsibility you ensure you meet any criteria needed to buy tickets and you should do this before booking as all payments are non-refundable. We cannot be held responsible if you book your trip and later do not get match tickets. We’ve worked out prices to allow for some fluctuation in exchange rates on the hotels and transfers between now and the final payment but reserve the right to pass on any extra cost if rates are wider than forecast. All trips and prices are subject to minimum numbers. If these minimum numbers are not reached and trip cancelled, your payment will be refunded. Published itineraries for all trips are provisional until final confirmations are sent out. We reserve the right to change details of trips as necessary and without prior notice. You are strongly advised to take out travel insurance for all trips.